Heat oil in a pan and sauté the curry leaves, onions and chopped garlic till the onions turn golden brown. Add the tomatoes and capsicum and fry till the tomatoes are reduced to pulp. Add the chillie powder, turmeric powder, cumin powder and spice powder and mix well. Add salt and ½ cup of water and bring to boil. Lower heat and gently drop in the hard boiled eggs with the yolk side up. Simmer for a few minutes till the gravy becomes thick. 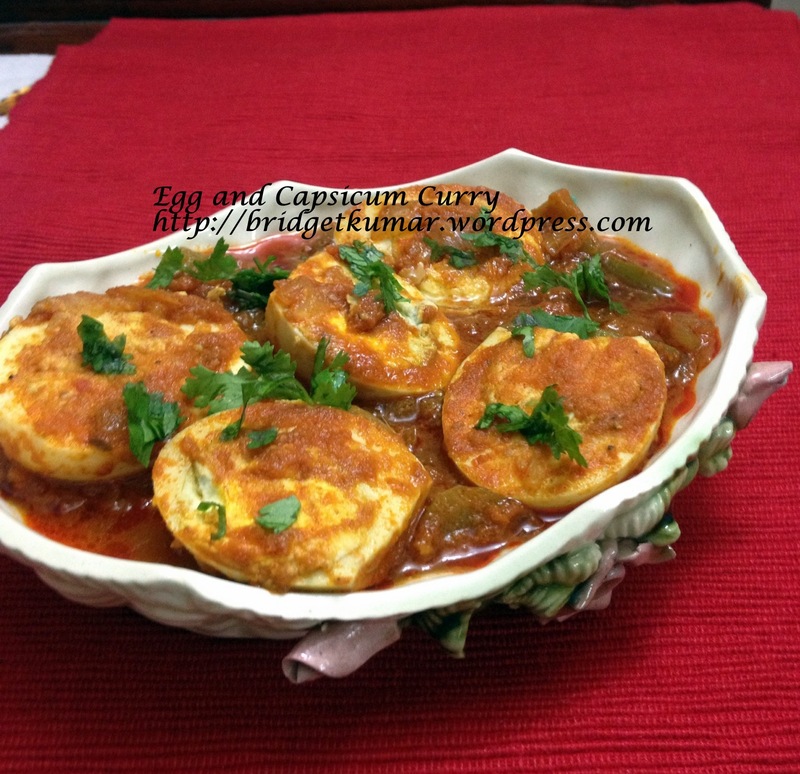 Serve with Rice, bread or chapattis.